NeoLogica designs and develops advanced software solutions in the medical imaging field. NeoLogica was founded in 2002 by a small group of engineers, and it immediately started working and specializing in the medical imaging and DICOM environments. Today all our medical imaging software products are fully DICOM-compliant, and they are based on software layers that we wrote from the ground up. We believe this is a great value when it comes to supporting customers, and it allows us to react in the fastest and most efficient way to any kind of request. Today NeoLogica has customers all around the world, including Europe, North America, Latin America, Australia, Asia and Africa. Our job is effectively described by the words Research and Development: we believe Research is the only mean to obtain a real technological progress and to get superior products from the technological point of view. At the same time, we strive to guarantee that Research leads to actual results that we can directly embed into our products: thus Research feeds Development, in order to obtain technologically advanced products that are also easy to use. The professionalism and skills of our human resources are our fundamental values; exceeding customers' expectations with our products is our main objective. As a further demonstration of our engagement towards a total quality, the quality management system adopted by NeoLogica is certified as compliant to both the ISO 9001 (quality management systems) and the ISO 13485 (medical devices, quality management systems) standards. 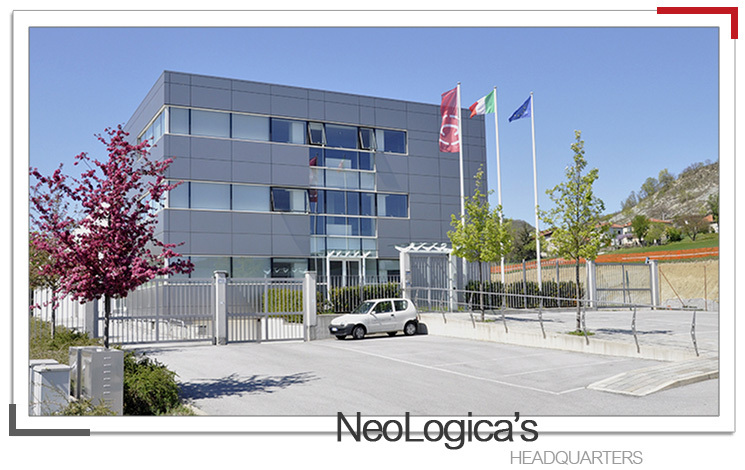 At NeoLogica, product quality, safety, and efficacy are our first priority and the responsibility of every employee. Each employee shall provide products and services that satisfy the needs of our customers, the requirements of our quality system, and regulatory requirements. Customers’ feedback is taken in strong consideration and, when appropriate, is used as the basis to design and develop improvements to our products. External threats and opportunities are monitored in an effort to achieve continuous improvement through a risk-based approach.